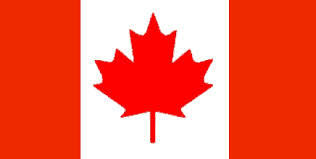 Canada, the land of maple leaf and the new land of opportunity for immigrants offers assured security and varied opportunities for new comers has accorded Ahmed Hussen, a native of Somalia and a Canadian citizen, to be elected to the House of Commons of the Canadian Parliament. While the ravages of war in Somalia could not allow him to get a good education and enjoy a tranquil life, Canada has allowed him to settle down and make amends with his shattered past. For many around the globe, the name “Somalia” conjures a host of negative perceptions—from violence, chaos, and civil war to Al-Shabaab and international piracy. Films such as Black Hawk Down and Captain Philips have reinforced this unfavorable narrative of the African country. Hussen’s phenomenal election to the Canadian Parliament, in a way accorded a human face to Somalis. It is intriguing that a man, who only two decades ago was a newly arrived refugee from Somalia, can end up being elected to a parliament of an important developed country. “On this day of October 19, 2015, a shining northern star positively reconfirms our existence and tells the world that we are not Al-Shabaab but a community of decent workers.” says Faisal Roble in a recent article he wrote on the historical election of Hussen to the Canadian Parliament. Somalis are not different than those basking in refugee abyss such as the Syrians or yesterday’s immigrants like the Italians and the Irish. All they need is a safe home and an opportunity to be good and productive citizens. Hussen’s election coincides with the American presidential primaries, where Donald Trump has been warning about taking in certain refugees and the danger Muslims pose to the West. In a way, Hussen’s election is a rebuke to myopic politicians such as Trump, Ben Carson, and the right-wing political parties in Europe. The message is clear and sound: refugees can be an asset to the countries that welcome them. The fact a refugee is accepted to a new country does not necessarily mean he/she will be a future leader of the host country. It takes a great deal of hard work, adamantine determination, and the desire to excel. Hussen did not settle in Canada to collect welfare or hang around cafes to engage in fruitless political chatter. He went to school and succeeded in earning a law degree. Then, he became a community activist by helping Somali Canadians and others who needed his service. Focus, discipline, and vision are the main ingredients for success in life. Hussen has exhibited all these traits, and the reward has been his political milestone victory. For those Somali political leaders who have failed in moving their country forward, Hussen’s victory shows that political leadership should be an open and fair process for all citizens regardless of race, religion, and nationality. Somalia’s iniquitous political power arrangement of the 4.5 system (which favors bigger tribes and disenfranchises smaller ones) needs to be scrapped if the country wants to go forward. It is a system that is unlikely to produce competent and honest leaders whose loyalty first and foremost is to the country, not their clans. 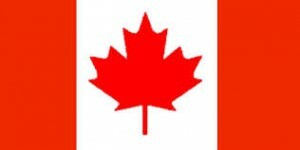 Canada has proven to be a home for many Somalis. Immigrants and Refugees contribute to their new home country by giving an economic edge, bringing innovative ideas, entrepreneurial spirit and enriching the culture of their new home country. 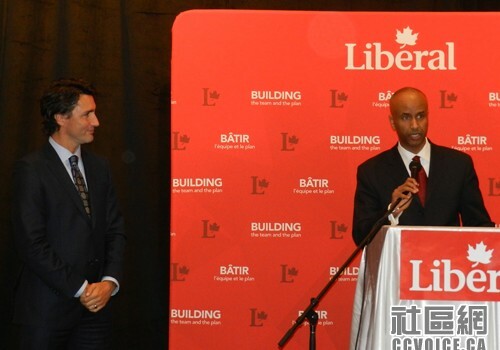 Canada welcomed Hussen and his family with open arms and now he is doing an important civic act by serving the very country that has sheltered him, educated him, and paved the way for his success. Ahmed Hussen has made history and his victory will inspire many young Somali Canadians and Somali Americans to become future leaders. Mohamed Dayur, the 12-year-old Somali American from Minnesota, has recently challenged Donald Trump and Carson who oppose the idea of having a Muslim president in America. “I want to be the president of the United States of America, and no one can stop me” responded Dayur. This simple statement shows fear mongering and paranoid speech can not keep out the determined and hard working immigrants, thanks to people like Ahmed Hussen and young Dayur that may have his dream come true one day.